Chinese food is gridlocked by certain myths it cannot shake. Even though this might sound bizarre to Chinese people, even Asians more broadly, the cuisine still carries the pervasive label of being unhealthy to this day. We know this from watching Ugly Delicious, where a roundtable conversation tackled stereotypes against Chinese food, and concerns were raised about the phobia towards monosodium glutamate (MSG) and additives used in this style of cooking. It is common knowledge that MSG and Chinese food are loving bedfellows, but that is little cause to denigrate the cuisine. 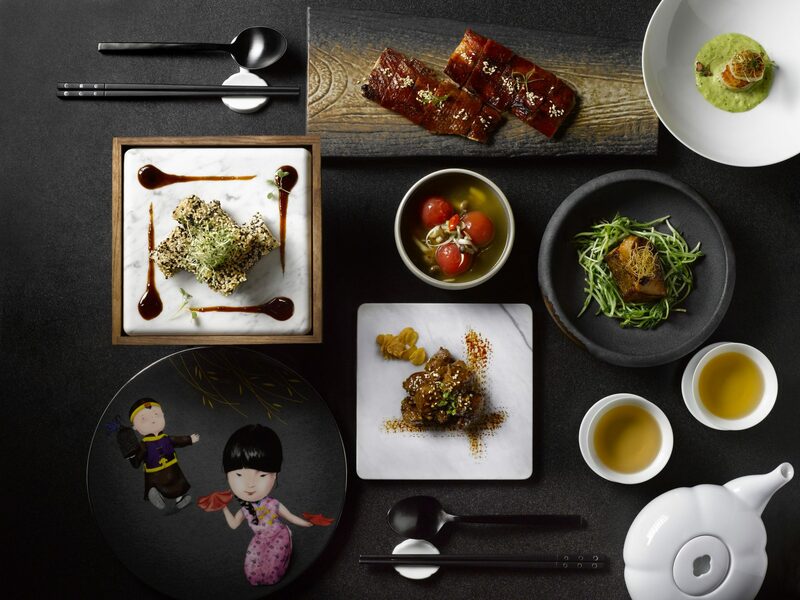 Yellow Pot, a restaurant in Six Senses Duxton hotel, is set to prove that classic Chinese cuisine can be made with pure, unadulterated ingredients and still retain its integrity. The wallpaper pattern around the restaurant, which features 18th-century indentures, is sourced from Hempel’s private collection. Yellow Pot keeps in theme with the Six Senses Duxton’s overall mod-oriental design. 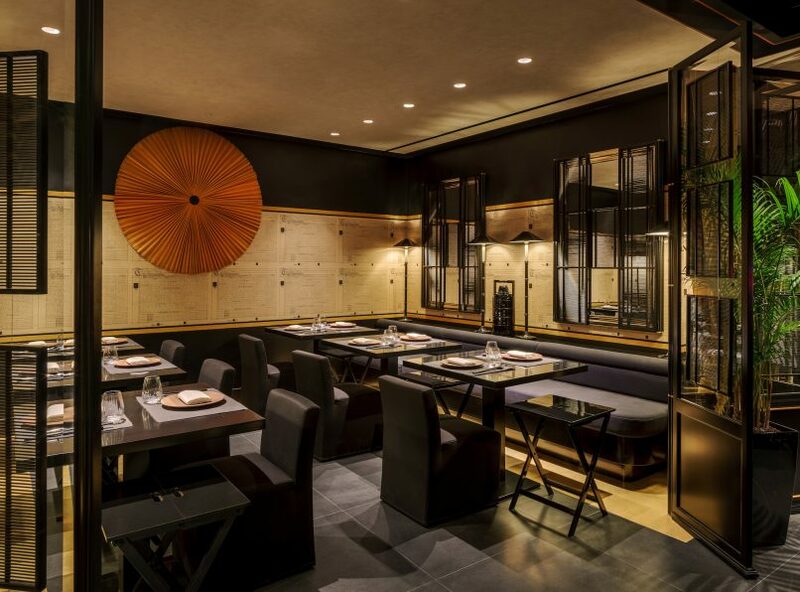 Black and gold form the main colour palette of the 50-seater space, with Chinese accents like golden fans and lacquered screen doors to reinforce the restaurant’s identity. 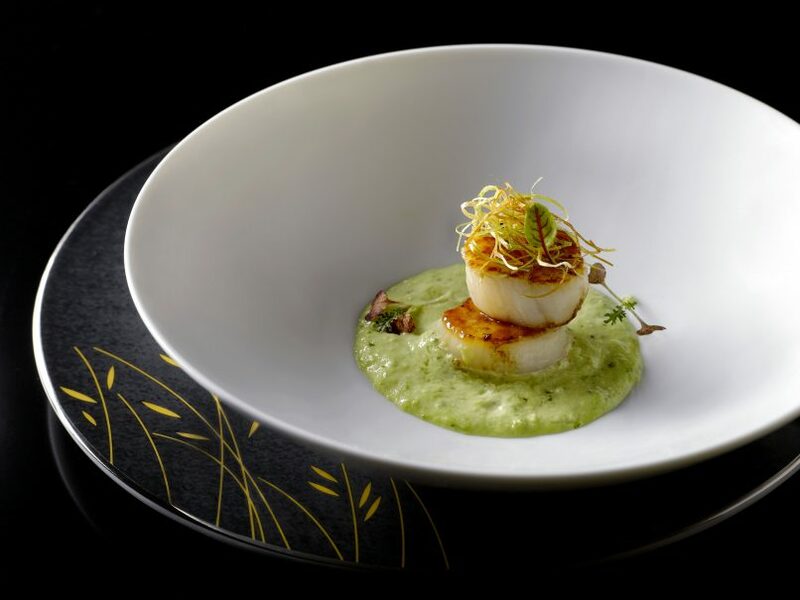 The philosophy behind Yellow Pot aligns with the hotel’s Eat With Six Senses programme, so additives and flavourings are not used in any of the dishes created by chef Sebastian Goh. Natural, regionally-sourced ingredients are spotlighted, so a meal there doubles as a tasting trail through some of Asia’s finest farms. So strict is this dedication to clean ingredients that for a cold starter, organic vine-ripened tomatoes from Malaysia came to the table with their skins removed, as the peel contains lectins, a plant protein known to be inflammatory. 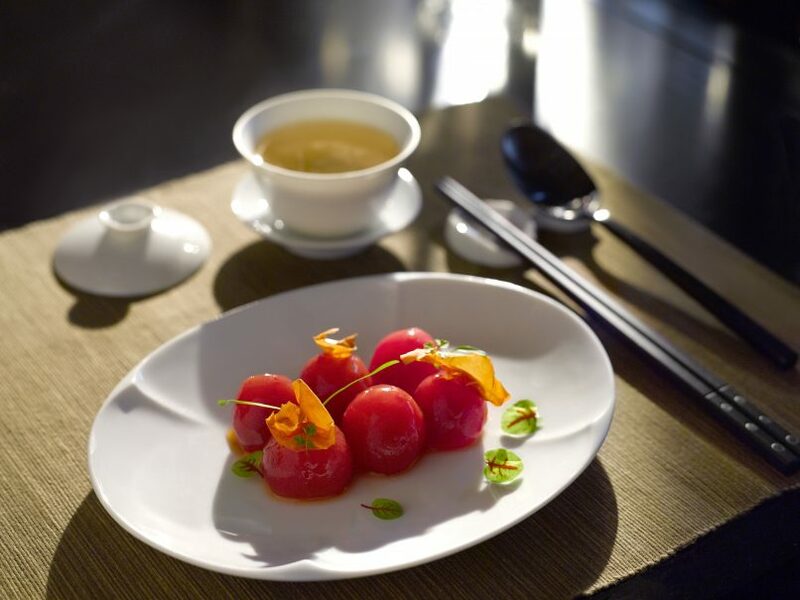 These tomatoes are then soaked in a plum juice mixture with herbs, liquorice root, mint leaves and rock sugar for three days, then chilled and served. The inherently sweet fruit tastes like candy because of this process, making it a refreshing precursor for the meal to come. The chilled organic vine-ripened tomatoes. Those looking for a more substantial starter should order the hot and sour soup. The Sichuan broth is prepared with a housemade paste, made with fermented beans and chilli, as well as mushrooms and shredded chicken for texture. Topped with a swirl of chilli oil, the hot and sour soup delivers a piquant punch that spice lovers will welcome. The meat dishes on the menu were the standout stars at Yellow Pot, each bite perfectly juicy and tender, even though the kitchen bans the use of meat-tenderising powders. 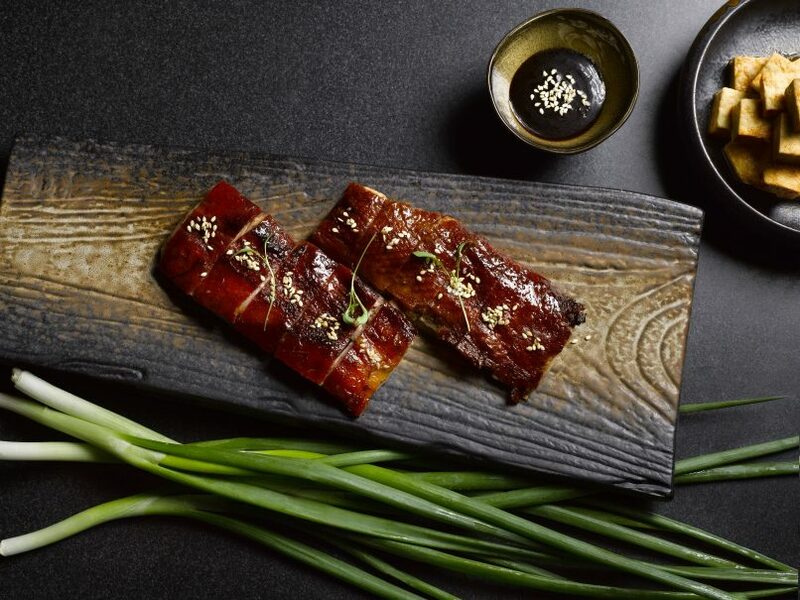 For an appetiser, marbled slices of pork cheek come extensively marinated in lemongrass, garlic, shallots and celery, which naturally breaks down the fibres to soften the typically lean cut of meat. Seared with cumin chilli powder, the pork cheek starter offered subtle dashes of spice, complemented by slivers of fresh green mango. Duck is roasted under a hickory wood fire in a traditional Apollo oven manned by a dedicated barbecue chef, imparting a sweetness to the gamey meat. The native Beijing dish also rests in a fermented, spiced beancurd marinade for two days before meeting the flames, and every succulent slab beneath the crackling skin is a testament to that time taken. But if you plan to only order just one meat dish, let it be the beef tenderloin. 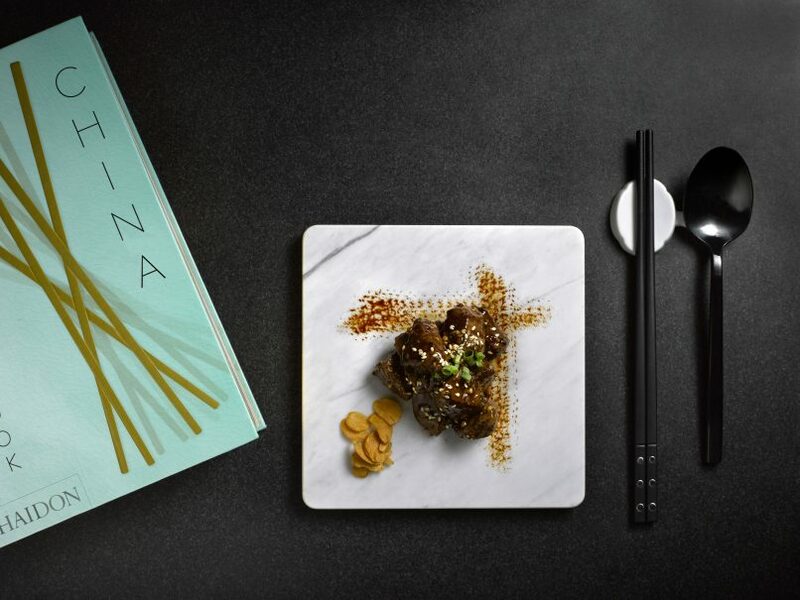 Organic grass-fed beef is seared in a wok with a honey, Sichuan and tellicherry peppercorns sauce, resulting in caramelised beef cubes imbued with wok hei and a heady dose of umami. At a juicy medium-rare doneness, the meat dissolves in the mouth with a single chew. The wok-seared, organic grass-fed beef tenderloin. Seafood lovers have the option to order the steamed barramundi, sourced from Kühlbarra, a sustainable local farm which cultivates its fish in ocean water. The steaks are dressed with an anchovy stock and topped with a scallion-ginger pesto — an alternative to the traditional soy sauce base and julienned toppings found on Cantonese-style steamed fish. The flesh gives at a poke of your chopsticks and has a natural briny flavour because of its farming method. One tiny gripe though: It would have been better to have the barramundi served with the skin off, as the gelatinous texture is a strange gummy contrast with the softness of the fish. Wok-fried Hokkaido scallops are another seafood option on the menu. For vegetable dishes, the sweet-and-sour eggplant was a winner. When braised, the unassuming vegetable becomes a sponge that soaks in the rich, sticky sauce made from housemade hot bean paste, honey, vinegar, and Nanyang soya sauce. That soya sauce, brewed by a Singaporean company that has been making an additive-free version of the Asian staple since 1959, adds dimension to the one-note profile we’ve come to expect from sweet-and-sour foods. Fermented under the sun in clay vats for months, Nanyang soya sauce is suffused with a smokiness that gives the overall eggplant dish a meaty depth. Pretty amazing for something vegetarian. The former head honcho at Black Swan and Potato Head Beach Club, Kamil Foltan, is responsible for developing the cocktail menu at Yellow Pot. Each drink on the menu reflects the flavours of the Far East. 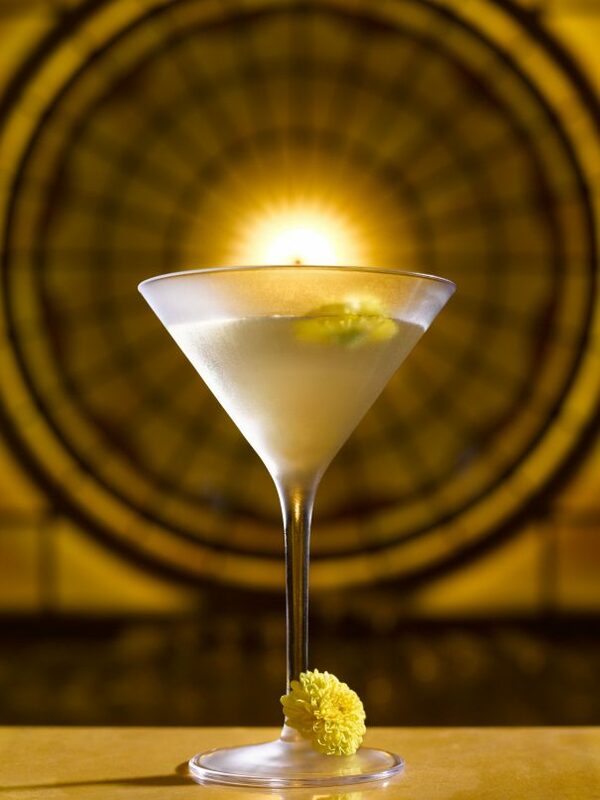 The house drink, Escape to Kaifeng, is a mix of housemade chrysanthemum cordial and Tanqueray gin. A light aperitif to a meal, the citrus notes of the Tanqueray brings zest to the floral drink cocktail, though we wish it were just a tad less sweet. Yellow Pot also prides itself on an extensive Chinese tea menu, specially curated for the hotel by Singapore’s Yixing Xuan Teahouse. Don’t expect generic oolong, pu er, and tie guan yin teas, but a selection that reflects the multitudinous tea-growing terroirs of China, as well as Taiwan. Whether you care about the place of additives and preservatives in Chinese food or not, Yellow Pot’s dedication to the ingredients it uses, and how it translates those carefully-sourced raw materials into fine celebrations of the many facets found in Chinese cuisine make it a place worth visiting. Plus, it is a clear option for those with dietary restrictions, like gluten intolerance, as the restaurant has gluten-free options on the menu, which is rare to come by within this culinary genre. Mondays to Sundays — 6:30am to 10:30am; 11:30 am to 2:30pm; 5:30pm to 10:30pm. Price: Approximately S$50++ per person. Service: Very prompt and attentive service staff.